I wanted a new garden apron for working in the greenhouse. 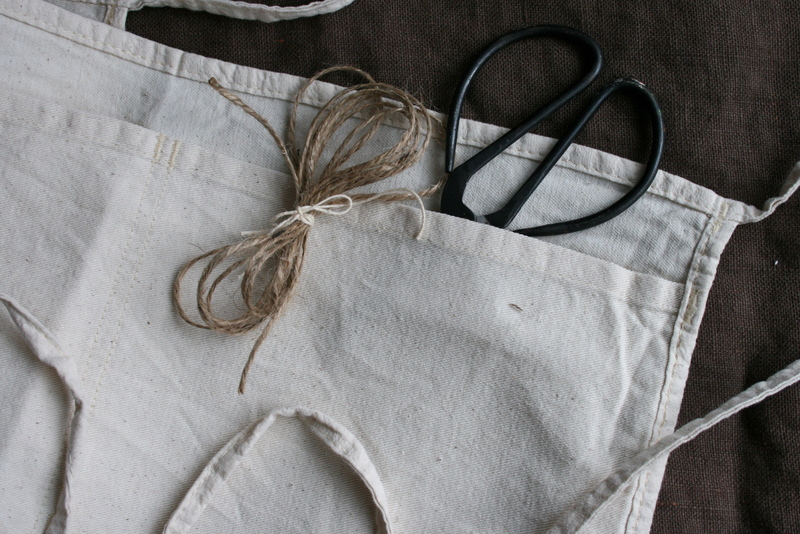 I like these plain canvas carpenter aprons. I needed a couple of extra pockets and a place to keep a pencil for marking plant tags. So I found a scrap of brown linen and sewed a rectangle of fabric onto the the front of the apron. Nothing fancy here folks, no measuring–just eyeball it! Now, I have plenty of pockets! All set to get dirty in the greenhouse and garden! Those sweet seed packets were designed by my daughter Laura! Even in your photos, your eye for design shows. Can we please see a close-up of those seed packets Laura designed and hear the story behind them? Keep watching, I’m doing another post soon to feature her sweet seed packets! Laura is a Graphic Communications student. Oh, how handy! Ah, that explains it. Looking forward to more photos and info. Keep on eye out! Working on a little post and photo–shoot. Packaging up my saved seeds in those sweet seed packets. Laura is a Graphics Communications student at SCC. I have lots of ideas for that girl! anyhow….can’t wait for further info on the seed packets! I “eyeball” a lot of things! Perfection makes me nervous! This week must be apron week. I just made two aprons for the grand children last night and like you just eyeballed it by using their body as my guide. 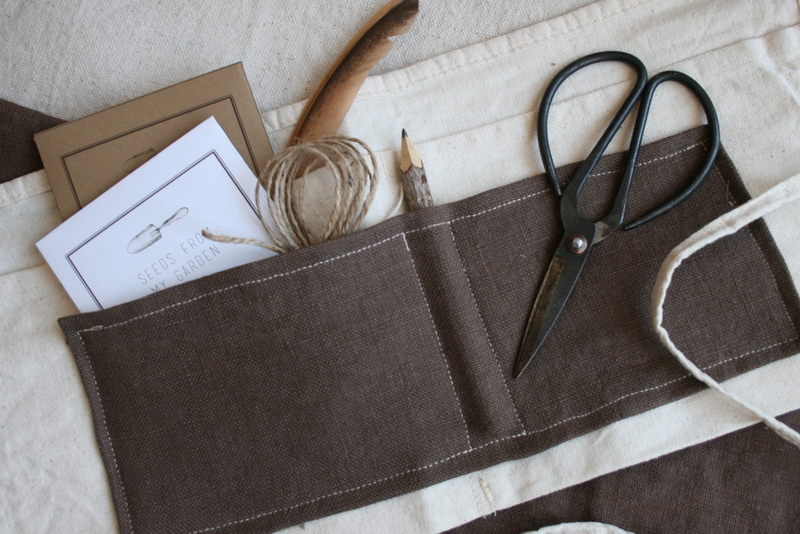 I love aprons, especially linen…. I’m on this. I get tired of scrounging around in my dirty coat pockets – although I won’t be wearing one in the summer (for about 6 weeks probably around here!). Wendy, I too used the wrong pen on my tags a couple of years ago….when the wood tags were wet, I couldn’t read them…had to dry them out in order to read the variety! And not matter what, I always seem to have a mystery flat or two of something! Makes it interesting! I’m sure we will both look adorable in our aprons! How practial, like Wendy I’m always looking for my pencil, secateurs etc etc. I did think of buying myself some overallls as an answer to grubby knees and needing pockets, but I’m loving your apron!